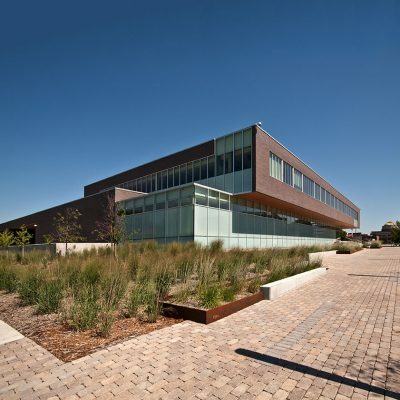 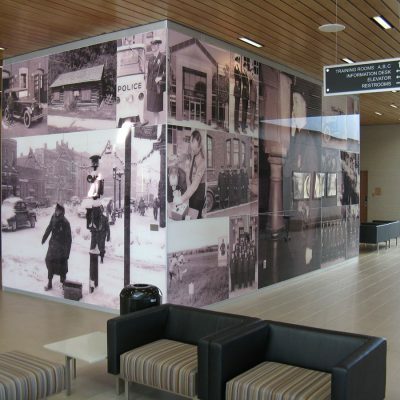 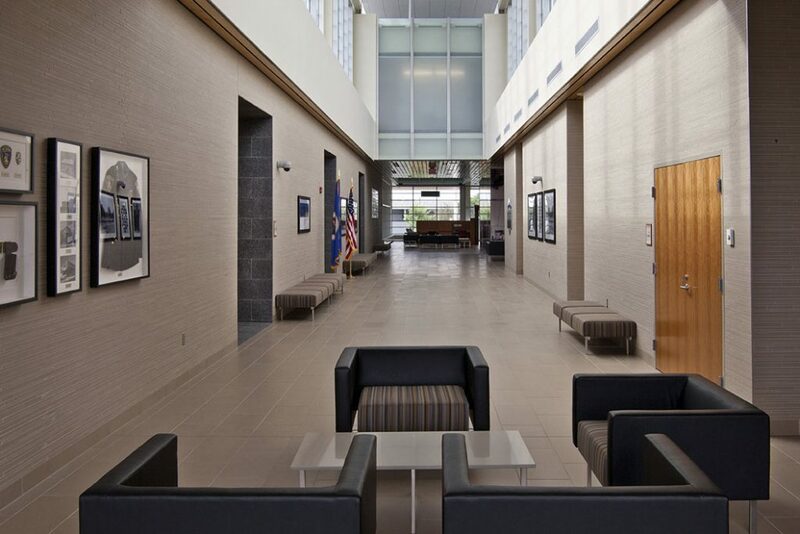 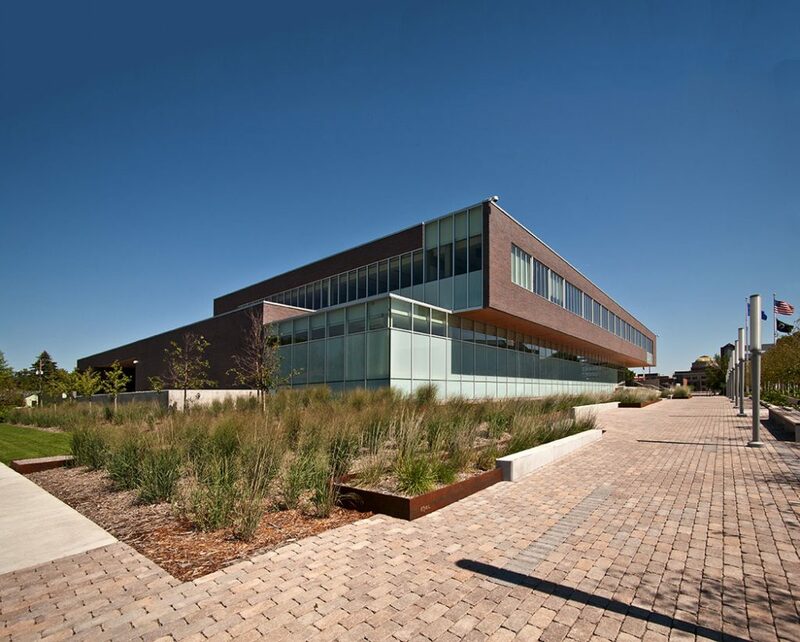 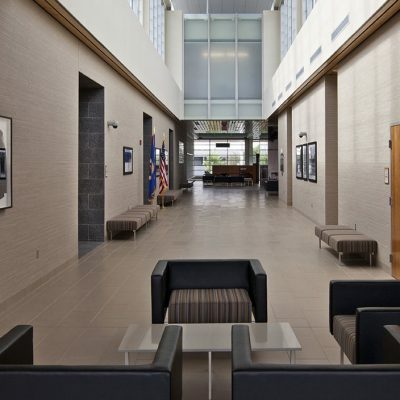 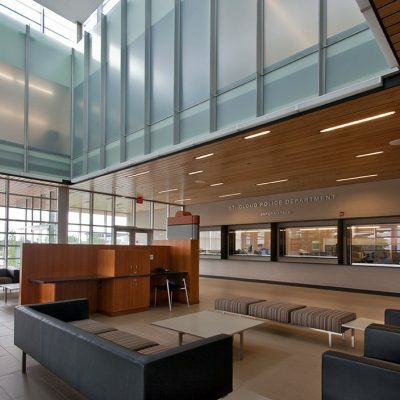 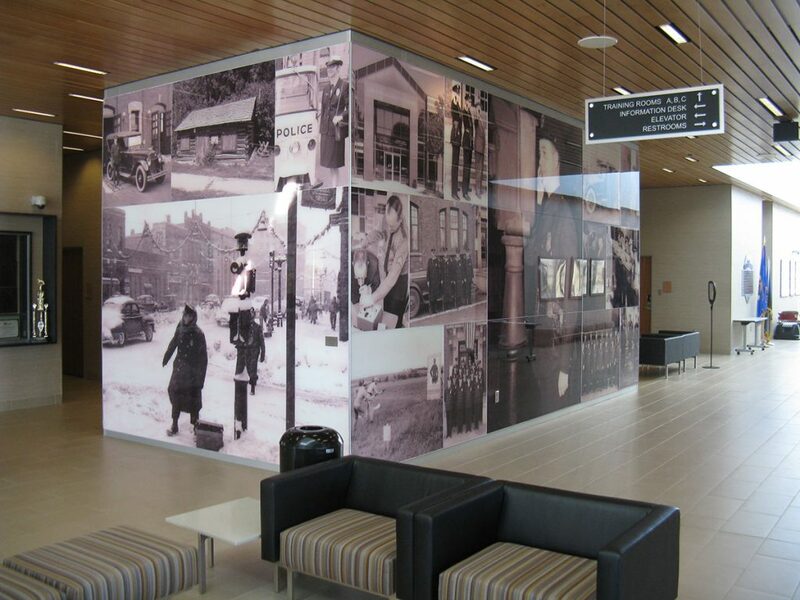 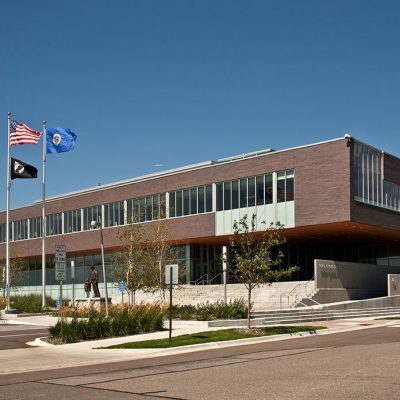 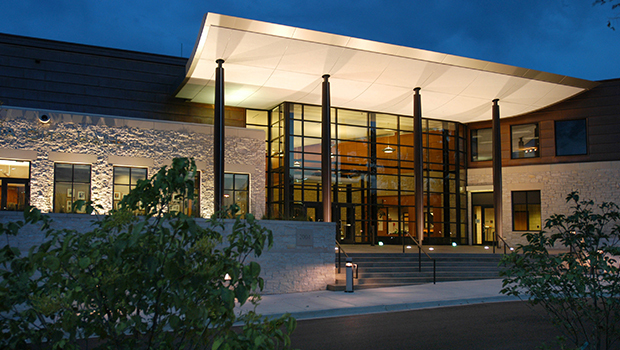 The building design negotiates between two competing objectives: to perform as a dynamic civic building incorporating public and community activities, and as a controlled, secure environment for public safety officers to conduct business. 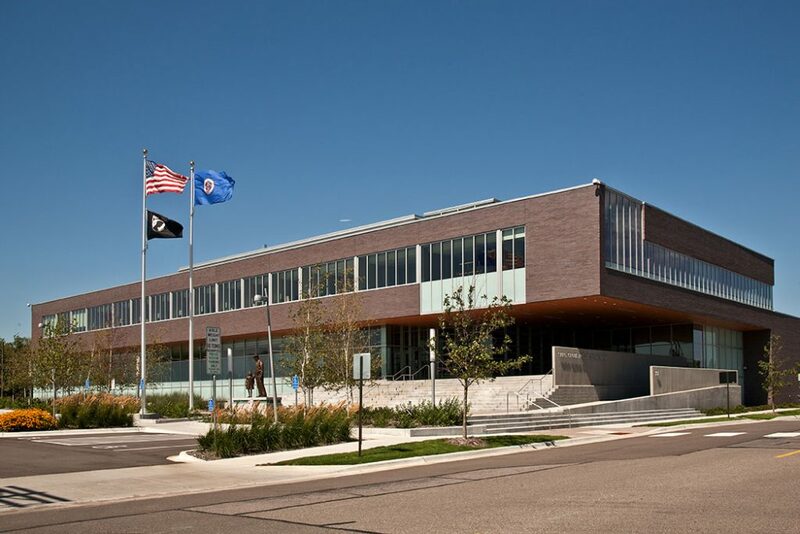 The “public” building is built from the ground up; the secured building, from the sky down. 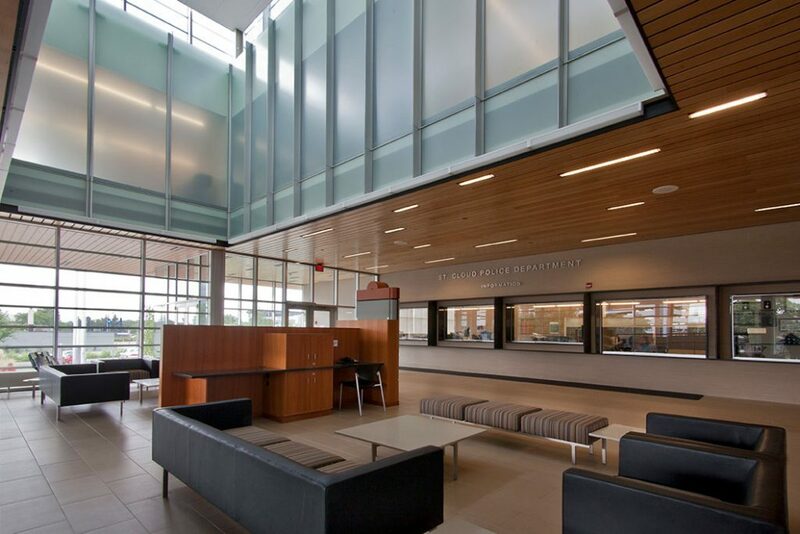 This programmatic stacking is ‘pinned’ together with light lanterns allowing for further dialogue between the two entities. 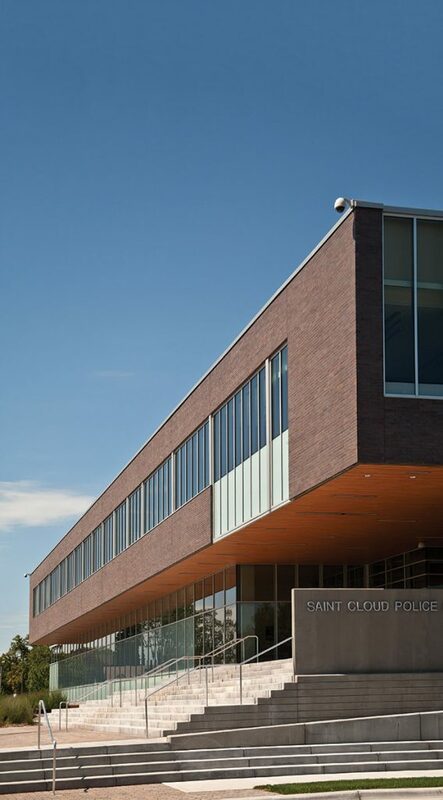 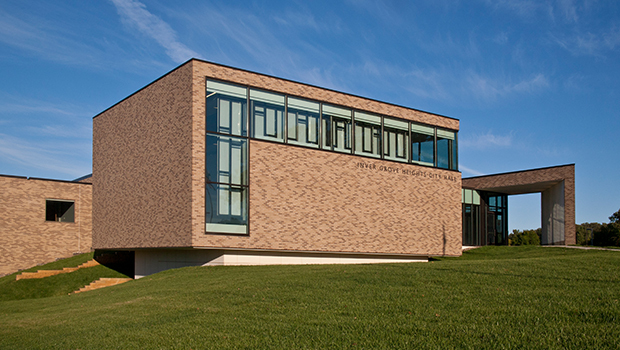 The exterior façade includes custom cast bricks, and a continuous linear clerestory links the internal spaces with light and serves as a reassuring twenty-four hour lantern of police presence in the community. 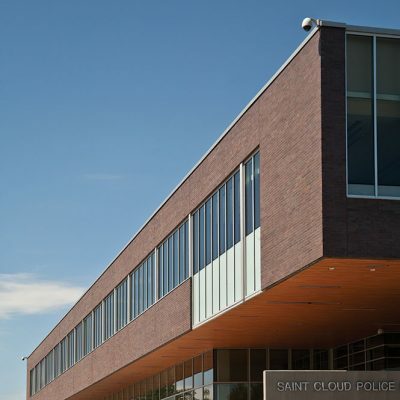 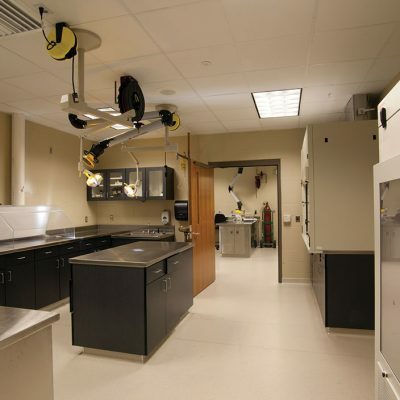 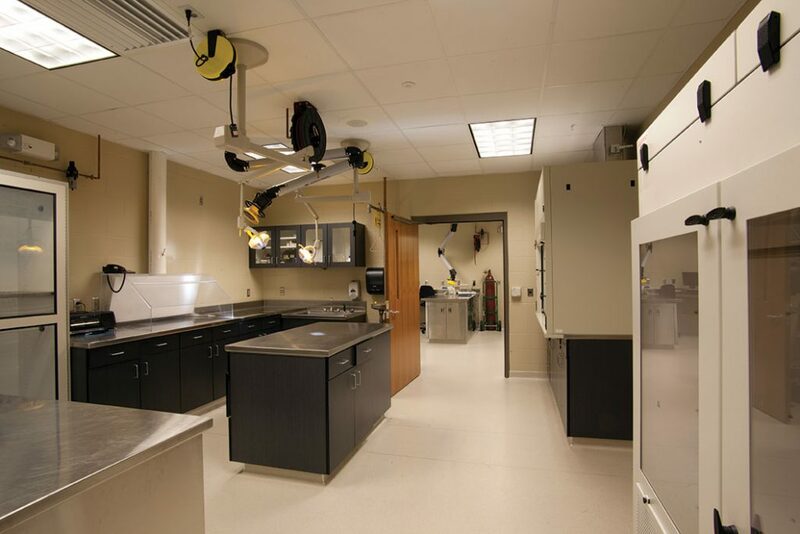 The two- and one-half story structure houses space for administration, professional standards, training, patrol, K-9, police reserves, crime prevention, investigations, forensics, records, lockers, fitness, communications, public meeting rooms, evidence, vehicle exam, gang and drug unit, community crime impact team, SERT, and other program and support spaces. 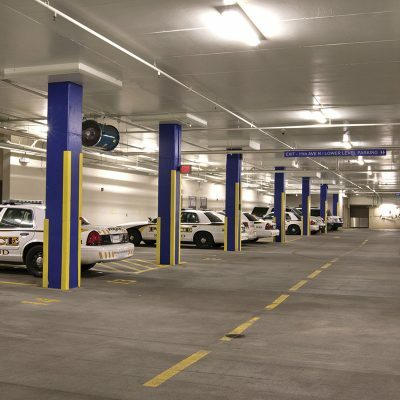 A lower parking level will provide for approximately 210 secured spaces for officers and employees as well as squad car parking. 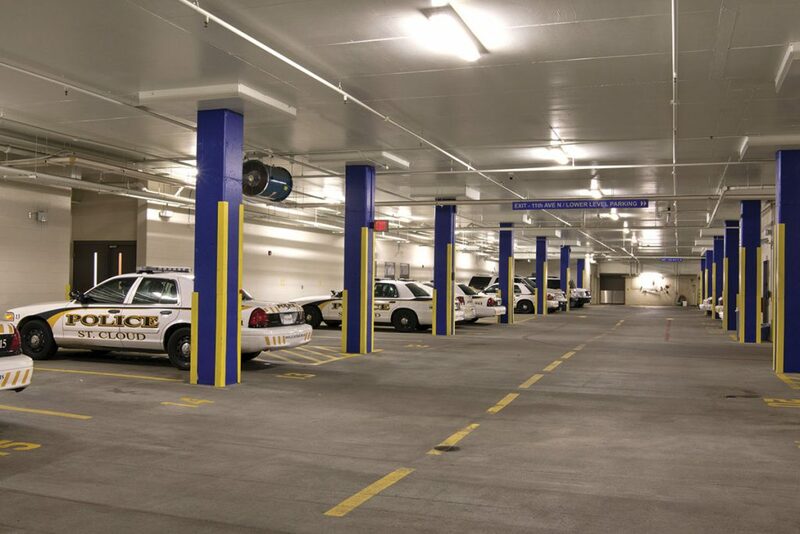 Thirty-five additional squad car parking spaces were provided on the half level for quick access.